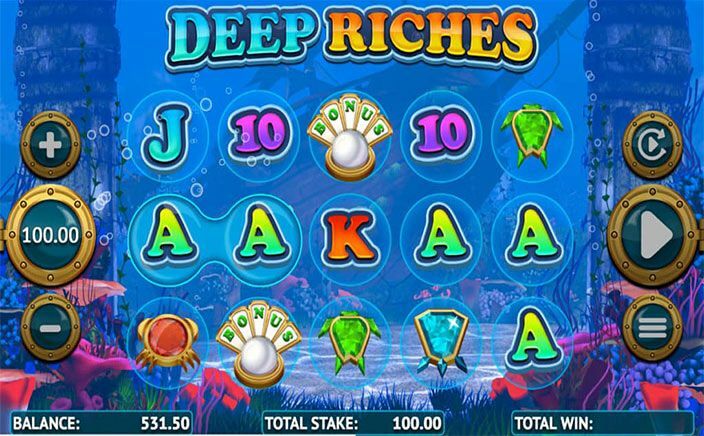 Deep Riches is a new slot from Core Gaming and the theme is based on underwater. It takes you to the depths of the seabed with sea imagery, precious gemstones and one has to find hidden ocean treasures which are present in the deep ocean. It has a standard layout. The slot is easily accessible on all Android devices, PCs, Desktop and tablet devices. Players can expect a decent Return to Player percentage of 95.07% from this slot. Diving Underwater With Deep Riches!! Deep Riches is constructed with five reels, three rows and twenty fixed paylines. There is a variety of plankton in the slot. The background is filled with green plants, blue water, sea creatures which are bouncing along ocean floor and reels are looking beautiful with brightly coloured jewels. Graphics in the slot is bright, super sharp and glossy and the music is brilliant. Players can have a min bet of £20 per spin to a maximum bet of £100 per spin. The higher value symbols are blue, pink, red, purple and green gems whereas lower values for the slot are represented by ten, Jack, Queen, King and Ace. The wild symbol is pink jewel which acts as the substitute for other symbols while pearl symbol is the scatter symbol. In order to generate it, one has to land three or more of pearl scatter anywhere on reels. The player can choose from one of the three shells shown in order to reveal how many free spins one has been awarded. These free spins play on the new reel set which is closer to the surface of the water. The left of reels has a giant net where wilds can float across reels on each free-spin. When they reach to leftmost reel, the net will hold them in place just for the rest of the feature. Other wild can then also fall next on adjacent reels in order to form wild clusters. Deep Riches is a simple yet adventurous slot. It has a medium variance with lovely visuals and it gives a tranquil feel to its players. 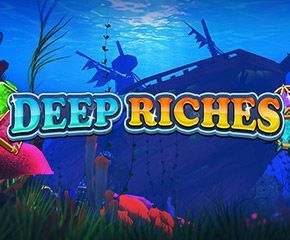 Deep Riches has done complete justice to its great theme and the players looking for an underwater slot with magical vibes will definitely enjoy this slot. The maximum available jackpot here is 500 times of your stake.